Our daily life is so fast paced, we get stressed pretty easily. Because of that, we at Royal Tulip Med Spa came up with a way to help people relax after a long week of work and stress. Our solution to your problems is a spa where you will receive massage spa treatments, couples massage, acupuncture, skin care and nails services in Etobicoke. This way we assure you feel completely relaxed by the end of the day. Whether you choose acupuncture, couples massage or skin care treatment, you will definitely end up feeling better. 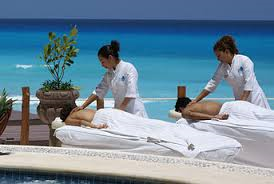 If you want to know how paradise feels like, you should definitely try our massage spa treatments. 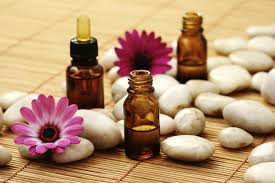 We offer a wide variety of massage spa treatments for you to be completely relaxed. 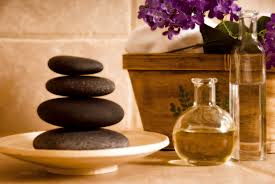 So if you’re feeling stressed and completely overwhelmed by work, you should definitely try our massage spa treatments and couples massages in Etobicoke. Acupuncture is the stimulation of specific acupoints along the skin of the body involving various methods such as the application of heat, pressure, or laser or penetration of thin needles. It is a form of complementary and alternative medicine and is a key component of traditional Chinese medicine (TCM).According to TCM, stimulating specific acupuncture points corrects imbalances in the flow of qi through channels known. Royal Tulip Med Spa provides one of the best acupuncture services in Etobicoke for you to be fully replenished. With our spa’s acupuncture, you will definitely end up looking and feeling fantastic. Our acupuncture treatment will assure you will be completely relaxed by the end of the day, as our acupuncture treatments are one of the best in Etobicoke. Apart from our acupuncture, couples massage and other spa treatments, Royal Tulip Med Spa will also make sure you your nails and skin are always looking beautiful with our nail and our skin care services in Etobicoke. With our nail services, you will notice that your nails will be looking better than ever. If you work hard every single day of the week, chances are you will require nail services, as they will probably be a little bit damaged. For this reason, we will make sure our nail services in Etobicoke leave them looking better than ever. Every single woman loves receiving nail services, which is why we provide one of the best nail services in Etobicoke. Never again will you want to try different nail services in Etobicoke, as the ones we provide really stand out among the other. Royal Tulip Med Spa also offers skin care services for you to look better than ever. Our skin care services in Etobicoke are sure to have your skin looking extremely beautiful. If you love having a smooth skin and well-cared skin, you should definitely try our skin care services in Etobicoke. There is a wide range of skin care treatments from which you will be able to choose the one you prefer. Check out other services we offer including skin care and laser treatment. Feel free to browse our website to learn more about our skin care products and treatments. For all your massage spa treatments, acupuncture, nail, skin care, couples massage and reflexology service needs in Etobicoke and surrounding areas, contact Royal Tulip Med Spa and make your reservations today. We are confident to provide you the best couples massage, spa treatments, acupuncture, nail, skin care and reflexology service in Etobicoke.